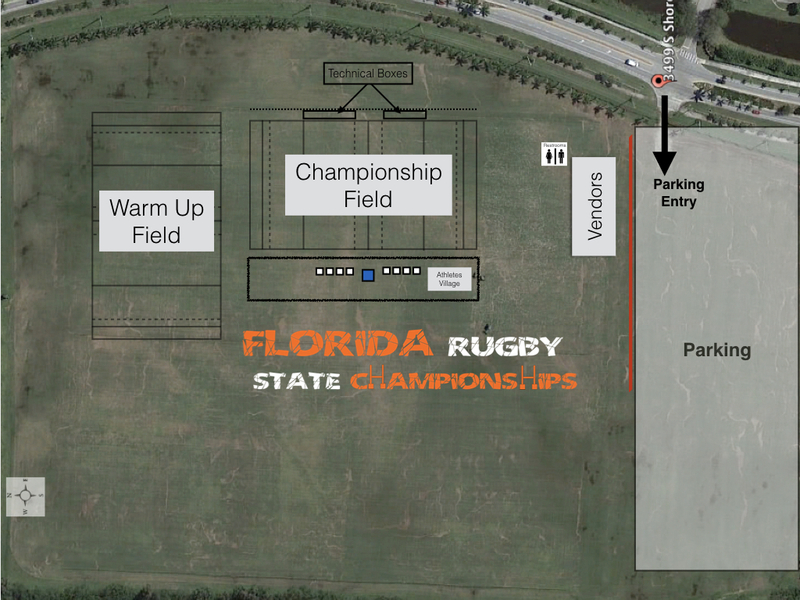 2019 Florida Rugby State Championships will be returning to the Polo Fields, in Wellington. The polo fields have been recently refurbished and we will be one of the first events held on these fields. This year due to scheduling conflicts we have split both the Youth and Adult Championships, the Youth will held on April 13th and Adult on April 20th. 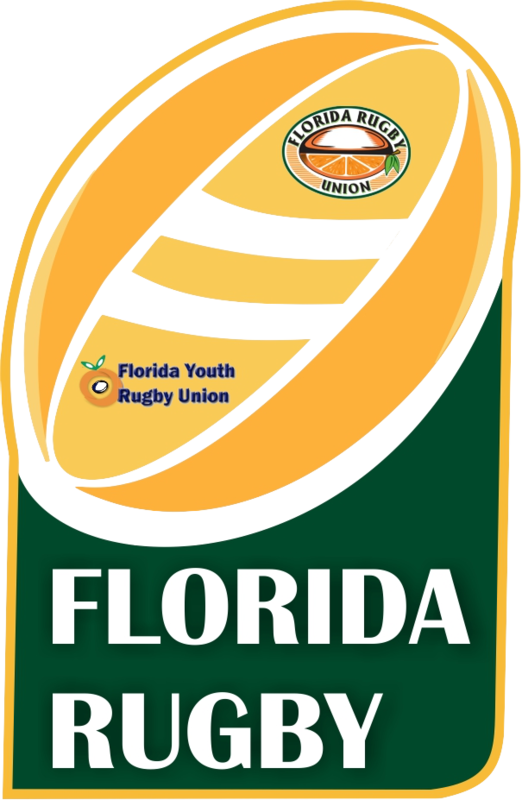 The Florida Rugby Championships are a celebration of an outstanding year for Men’s, Women’s, Boys and Girls rugby in Florida. We will have over 30 teams participating in the championship and developmental events across multiple divisions and age groups. We will have 8 tents available for teams to use (the white squares on the map). Clubs should not occupy more than of the supplied tents. Teams can bring their own tents but we ask they be set up within the athletes village. The Championship Field has Technical boxes for the Coaches and subs. Those technical boxes are set up on the side away from the the large white tents and spectator section. It is coaches responsibility for each team to ensure their spectators and families do not come set up on that sideline it is only for players and coaches. No parking or driving on the fields is allowed. Every year the State Championships requires a large group of Volunteers to help us run the event. This year with Adult and Youth events split we are looking for more volunteers than normal. The union asks that all participating teams look to provide at least a couple of volunteers to the event. 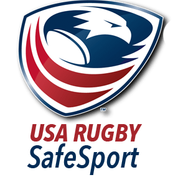 We have created a volunteer sign up sheet online, please hit the button below and sign up.